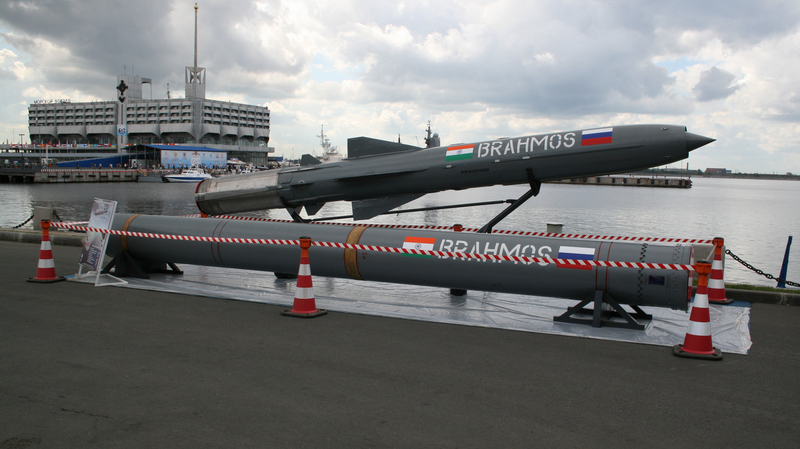 Brahmos Missiles for the Philippines? The Brahmos missile and its launch container. Photo courtesy of Wikipedia Commons. Ever since China raised tensions in the West Philippine Sea by cordoning off Panatag Shoal in 2012,1 there has been a LOT of talk about the Philippines acquiring the Brahmos Missile for use against China’s naval fleet, with some of these talk even coming from some prominent politicians. Although the Department of National Defense (DND) never seem to seriously consider the Brahmos (at least not publicly), I thought it would be a “fun” blog to explore the merits and demerits of the missile as far as the Philippines using it. The Brahmos is a supersonic Anti-Ship Cruise Missile (AShCM) that could be launched from ships and land vehicles, with new versions under development that could be launched from aircraft and submarines. It is made by a company called “Brahmos Aerospace” which is a joint venture between the state institutions of India (Defence Research and Development Organisation or DRDO) and Russia (NPO Mashinostroeyenia). It first entered service with the Indian armed forces in 2005, and since then approximately 364 missiles have been produced, all used by India as the Brahmos has not yet been officially exported to any other country. The name “Brahmos” was derived from the main rivers of the two countries involved in the joint venture of its production, the “Brahmaputra” of India and the “Moskva” of Russia.